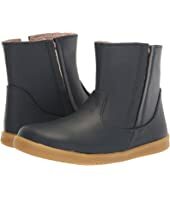 Established in 1991 by husband and wife team Chris and Coleen Bennet, Bobux is an innovative kids shoe brand from New Zealand. 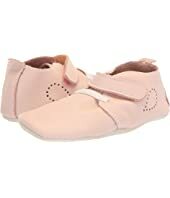 The first Bobux shoe was designed for Chris and Coleen’s daughter Chloe, and the belief in supporting natural foot development in children was central in its inception. Over the past couple of decades Bobux has carried that initial sentiment through their designs. All Bobux shoes are built on lasts that replicate the changing stages of children’s feet. 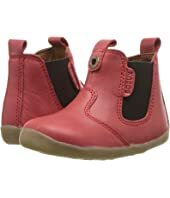 This provides a comfortable fit for kids that allows their feet the freedom to grow and develop as nature intended. The new X Range from Bobux has launched from this healthy foot foundation into the style stratosphere. Bold colors and striking designs from U.S. designer Sean Maisano are the hallmarks of this range, and the product speaks for itself. . . It practically shouts!